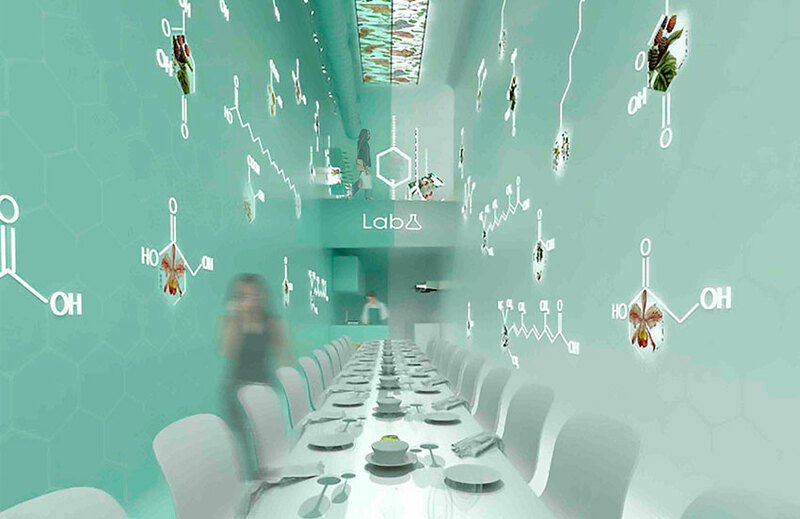 Capsule Restaurant, a new life concept, combined with a healthy and caring diet. A special hotel requires a special restaurant. Project winner of the First Prize in the Student Category of the InterCIDEC’16 competition. In the same way that we seek an agreeable place when choosing somewhere to stay, today’s users are increasingly demanding a place to eat healthy, well-prepared food. It is well known that the demand for fast food, is seeing a decline in sales. The change in consumption patterns, fostered by a new generation of consumers (the so-called millennials), concerned with eating higher quality and healthier foods, make these groups disposed toward paying a little more for this type of food. 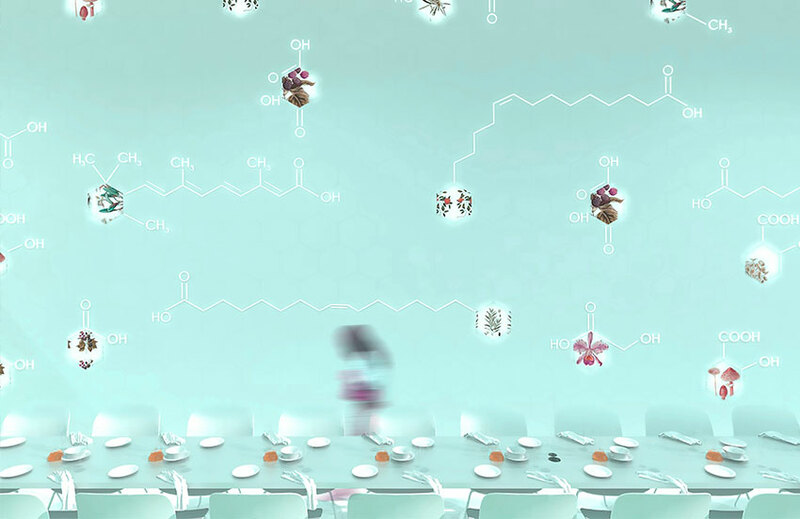 Capsule Restaurant is, in short, a hotel restaurant project that would be focused on a target, which in addition to taking care of one’s rest, wants also to take care of your diet in a natural environment. Thus the Capsule project also aims to become a type of establishment that combines respect for the body with respect for the environment. 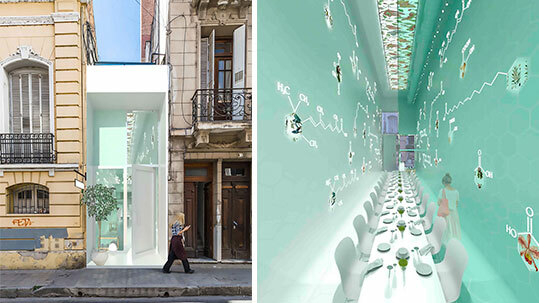 It is conceived as a botanical operating theatre in which a symbiosis with plants is created. There is an intimate and visual association with the properties of these species that benefit us in our vital development. 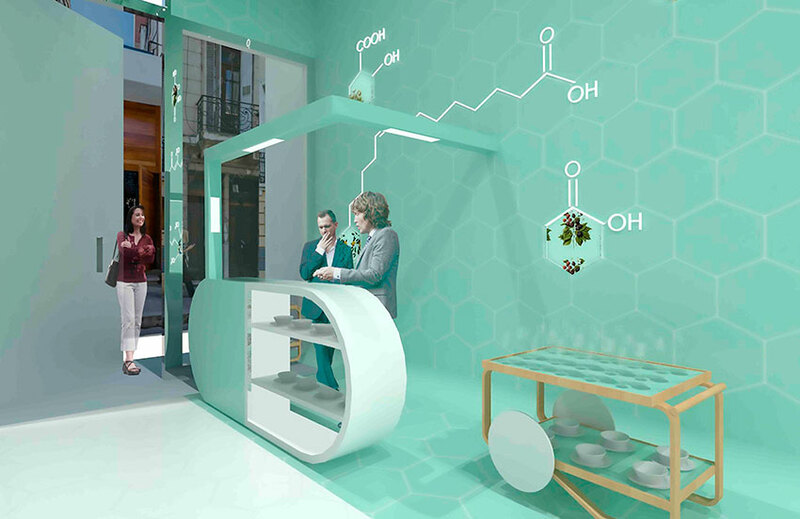 All the space is configured based on the natural active principles that we obtain from these plants and which we represent through organic structures based on the hexagon as the principal shape. The result is a very peculiar space but at the same time with great possibilities. With a table design which is long, narrow and double in height, that traverses the establishment. A connected and unique space, inspired by those in-depth conversations of the 70’s where socialization and communication were paramount in the face of this increasingly digitized and, paradoxically, insular age. It is also inspired by a sterile and surgical environment, with great references to one of the best Nordic architects, Alvar Aalto, and his work, Paimio’s Sanatorium, using metallic elements such as the tables and chairs that impart a feeling of coldness. In short, an experience for the diner staying at the hotel who wants to take care of both his outer and inner self. It is an interesting initiative by the Sevillian student Alejandro Sánchez Sánchez!